﻿ Incoloy 800 Refactory Anchors, Alloy 800 Refactory Anchors Exporter. Incoloy 800 Refactory Anchors Manufacturer, Alloy 800 Refactory Anchors Supplier, Incoloy 800 V Anchors, Alloy 800 Y Anchors Supplier In India. The need of Incoloy 800 Refractory Anchors in the market is increasing day by day among the industrialists. Seeing the high rise in its requirements the producers are putting full efforts in bringing out the appreciable quality of the item. 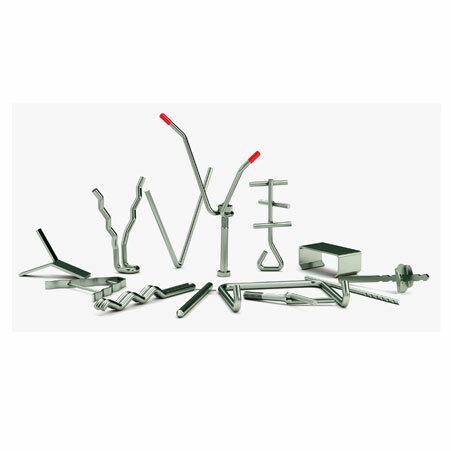 In a highly equipped industry with all essential tools the industry is producing anchors by using various effective techniques of refractory anchors. Incoloy 800 V Anchors is available in the market in the wide comprehensive array that makes the buyers to choose the right one as per their prerequisite. Considering various product standard qualities like ASTM, ANSI, API, JIS, DIN, EN, BS, ASME the product is supplied is at reasonable rates. •	Stress corrosion cracking resistance, pitting resistance, corrosion and crevice corrosion resistance. Stop thinking and place your order now to get a heavy discount. 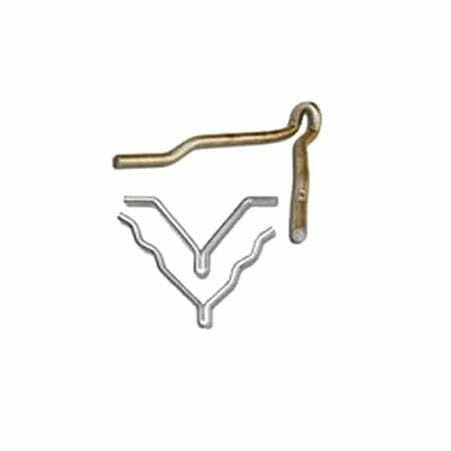 Incoloy 800 WV Anchors Manufacturer, Alloy 800 Corrugated Anchors Exporter, Incoloy 800 UV Anchors Supplier In Worldwide. 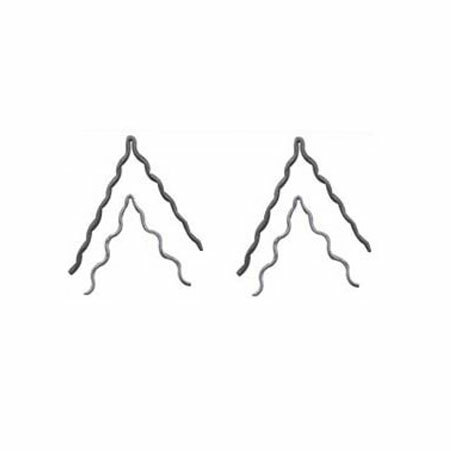 Form : V shape, Y shape and crook anchors but as per clients drawings and requirements. Romania, Zimbabwe, Denmark, Bahrain, Spain, Qatar, Germany, Hungary, Ecuador, Switzerland, Namibia, Peru, Austria, Canada, Japan, Hong Kong, Bhutan, Bulgaria, Iraq, Singapore, Gabon, Brazil, Poland, United States, Finland, Angola, Nigeria, Norway, Greece, Sri Lanka, China, Thailand, Pakistan, Croatia, Saudi Arabia, Nigeria, Mongolia, Italy, Netherlands, France, Argentina, Bangladesh, Gambia, India, Libya, Trinidad & Tobago,Tunisia, Israel, Lithuania, Lebanon, Estonia, Mexico, Australia, Chile, Belarus, Vietnam, Ukraine, United Arab Emirates, Portugal, Costa Rica, Iran, Czech Republic, Azerbaijan, Poland, Nepal, Kenya, Puerto Rico, Bolivia, Ghana, Slovakia, Colombia, Ireland, Indonesia, Yemen, Afghanistan, New Zealand, Macau, Oman, Morocco, United Kingdom, Russia, Iran, Egypt, Kazakhstan, Algeria, Kuwait, Tibet, Serbia, Malaysia, Turkey, Philippines, Taiwan, Venezuela, South Korea, Chile, Mexico, Belgium, Jordan, South Africa, Sweden. Toronto, Sharjah, Kolkata, Muscat, Ho Chi Minh City, Milan, La Victoria, Edmonton, Howrah, Rio de Janeiro, Lagos, Mumbai, Dallas, Aberdeen, Bangkok, Cairo, Jeddah, Santiago, Surat, Chandigarh, Gimhae-si, Hanoi, Rajkot, Secunderabad, Abu Dhabi, Caracas, Faridabad, Ranchi, Nagpur, Noida, Nashik, Ahvaz, Courbevoie, Lahore, Visakhapatnam, Ulsan, Manama, Navi Mumbai, Los Angeles, Atyrau, London, Al Khobar, Gurgaon, Bogota, Riyadh, Chennai, Sydney, Dubai, Hong Kong, Melbourne, Ahmedabad, Bengaluru, Pimpri-Chinchwad, Ernakulam, Jakarta, Chiyoda, Jamshedpur, Calgary, Doha, Vadodara, Port-of-Spain, Dammam, Moscow, Haryana, Thiruvananthapuram, Algiers, Madrid, Thane, Kanpur, Jaipur, Ankara, New Delhi, Indore, Istanbul, Al Jubail, Montreal, Granada, Kuwait City, New York, Vung Tau, Ludhiana, Seoul, Tehran, Brisbane, Singapore, Karachi, Colombo, Bhopal, Perth, Baroda, Pune, Houston, Petaling Jaya, Busan, Coimbatore, Kuala Lumpur, Geoje-si, Hyderabad, Mexico City.